“Relay For Life is the signature fundraiser cancer walk for the American Cancer Society.” Each year volunteers sign up to walk for an end to cancer. Teams organize to take turns walking a designated pathway or track. Team members solicit donations for their efforts. The day-long events feature various activities associated with the battle against cancer. The American Cancer Society’s Relay For Life webpage provides additional information. In a twist geared to local dog owners, The Purple People Team from the Genesee County Relay for Life is hosting Bark For Life. 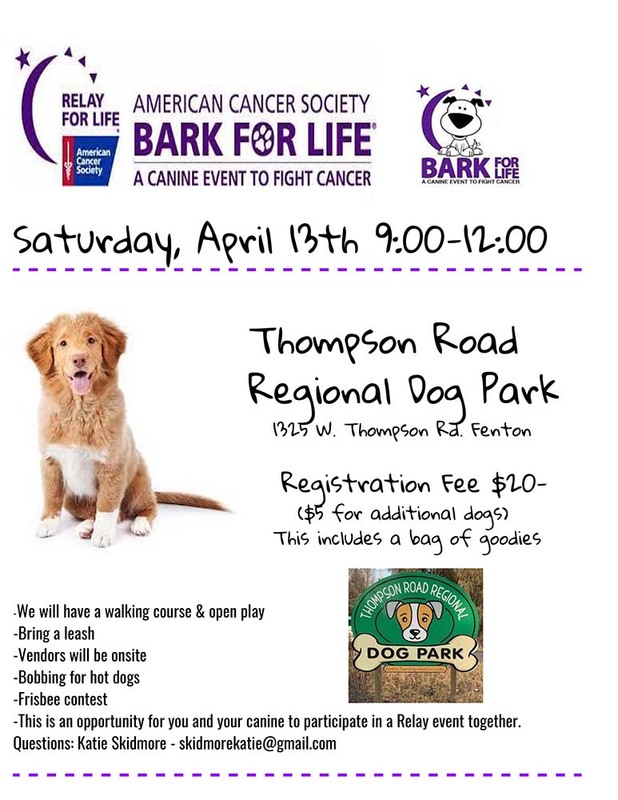 Saturday, April 13th, 2019 from 9 am to noon at the Thompson Road Regional Dog Park. The park at 1325 W. Thompson Rd. 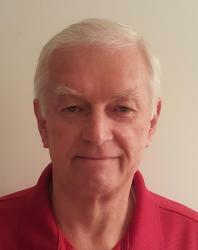 in Fenton is a great place to walk with your dog and make some friends. The registration fee is $20, additional dogs are $5 each. Registration includes a bag of goodies for your pup. There will be a Frisbee contest, walking paths, and an open play area. You and your canine can participate in a Relay event together. All of the money raised will go towards the Relay For Life of Genesee County. The Relay For Life event is scheduled for May 18th from 10 am -10 pm at the Carmen Ainsworth Middle School.